While this article is about Henry Stark as the maker of the Brian Boru pipes, Starck was also the major supplier of two droned warpipes. The story of Henry Stark, bagpipe maker, and the invention of the Brian Boru bagpipes are both bound up in the renaissance of Irish nationalism and Gaelic culture in the second half of the nineteenth century. Within the British Army this nationalism manifested itself in an attempt by the eight regular Irish line infantry regiments to distinguish themselves from their English counterparts by the adoption of Irish tunes by their military bands and the establishment, albeit unofficially, of pipers and pipe and drum bands on their establishment. By 1864 the 87th., The Royal Irish Fusiliers, had a piper within the regiment[i]. In 1891 Colonel George Cox, commanding the 2nd Battalion, Princess Victoria's (Royal Irish Fusiliers) presented his battalion with eight sets of "Irish pipes" [ii] as the nucleus of a pipe and drum band. The trend had been set and by 1900 the 3rd Battalion The Royal Inniskilling Fusiliers had a piper dressed in an "Irish Fashion" and during the next decade most of the Irish infantry regiments followed this lead. This revival of Gaelic culture seemed to have stimulated Irish pipers to produce a distinctly Irish instrument. The existence of various illustrations in ancient manuscripts, including that of an Irish piper in John Derricke's "Images of Irelande"[iii] of 1581 and of a Irish boy piper by Lucas DeHeere[iv] in 1575, seemed to suggest that the ancient Irish Warpipes, the piob mohr, was mouth blown, had a simple open ended keyless chanter and two drones. "It was forbidden to receive or entertain Irish bards, pipers, story-tellers, or mowers, because these and such like often came as spies on the English." As a consequence the tradition of Irish piping gradually died out and by the middle of the 18th century the piob mor had been lost. During the Gaelic cultural revival in the middle of the 19th. century the absence of an authentic Irish instrument had to be remedied. This was achieved by the simple expedient of removing one of the two tenor drones from the great Highland warpipes then being used by the Scottish regiments. Thus the three droned Scottish pipes became the two droned Irish warpipes, a mouth blown set of pipes with two drones, one bass, the other tenor, in the tradition of the piob mor. It was this form of instrument that Colonel Cox presented to his battalion and which is shown by Richard Simkin in his 1900 illustration of a piper of the 3rd. Battalion of the Royal Inniskilling Fusiliers. [v] Later the Irish Guards (1915) and the Royal Ulster Rifles (1948) both took them into use and employed them in their pipe bands until 1968. The continued evolution of distinctly Irish bagpipes now turns to the history of the London Irish Rifles, a volunteer unit of the British Army. In 1906 Lt. Col. Hercules Pakenham, an Irishman and a descendent of the 1st. Lord Longford, an Irish peer, was given the command of the regiment[vi]. Pakenham set about enhancing the Irishness of his regiment by appointing a Mr. Albert Starck both as the CO's piper and to train volunteer pipers to form a pipe band. Albert Starck realised that the simple chanter of the Irish warpipes with its lack of a chromatic range caused difficulties when the pipes were called on to play together with the military band. 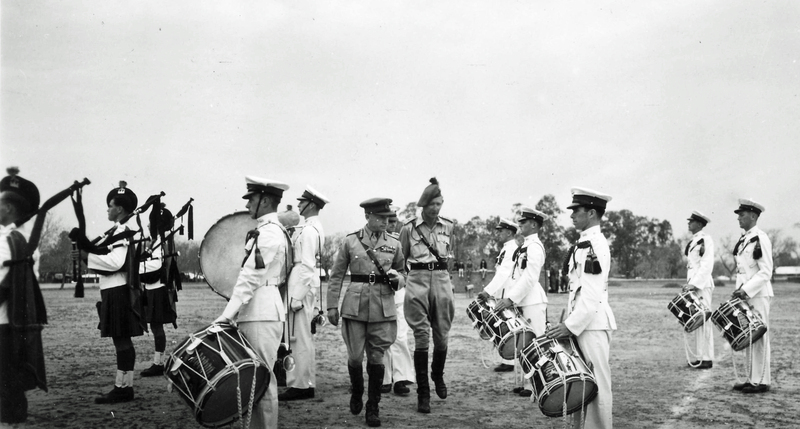 Albert's father, Henry Starck, was a pipe maker and took on the challenge of producing an instrument that could accompany the military band on parade. Henry Starck was a German by birth and had trained as a flute and oboe maker. In 1876 he set up business in London as a maker of musical instruments[vii]. He went into partnership with a Mr William Ross who had been piper to Queen Victoria until he retired in 1891 and together they began to make bagpipes. Ross's name appears on early sets of Starck pipes. In 1906 Henry Starck, working with a Mr William O'Duane, patented ( patent number 23839) a new chromatic chanter for the Irish pipes. This new chanter had 3 keys, high B, at the top of the chanter and low G. and low F at the bottom end which extended the range of the instrument. Later models normally had four keys and some sets were made with as many as thirteen keys to extend both the upper and lower ends of the range. Between 1906 and 1910 Starck took out a series of patents for Irish system and Scottish system war pipes. The result of his experimentation was to combined his innovative keyed chanter with a new drone assembly to produce the Brian Boru pipes which he named after a legendary 10th. century High King of Ireland. The Brian Boru set had three drones, a tenor drone pitched one octave below the chanter, a baritone pitched one fifth below the tenor and a bass drone pitched two octaves below the chanter. The three drones arose from a common stock following the drone set up of the Northumbrian half long pipes. A photograph of the Pipes and Drums of the 1st. London Irish Rifles taken in 1915 shows several pipers holding bagpipes with this distinctive "half long" drone arrangement[viii]. In this little booklet I beg to bring to the notice of Bagpipe players, and all who are interested in music, the advantages which my patented Brian Boru Bagpipes possesses over all other bagpipes. The Brian Boru is the only marching Bagpipe in existence which has a chanter possessing a complete chromatic scale ranging from E natural to C sharp or a third above and below the Scotch chanter. It is, therefore, able to play almost any music, as most music can be arranged for the compass in which the Brian Boru is set. It has three drones, Bass A, Tenor A and Baritone E which harmonise perfectly with each other and with the chanter. The drones being in fifths, the tone produced is equal in depth and mellowness to the tone of an organ. The players on these pipes will have, in addition to their beautiful ringing silver tone, another great advantage over the performers on the Scotch Pipes, in being able to play duets, trios and quartets. They can also play in combination with other instruments. The Bagpipe should appeal to all Irishmen, as the tone, though very powerful is equal in sweetness to that of the Union Pipes; and on it they will be able to play most of the exquisite music of their native land, and be able to render it with a depth of feeling not possible on any other Bagpipe of the same kind. The user of this instrument will be able to give much pleasure to himself and to his friends, for on it he can play music to suit every taste. He can play selections from the operas, waltzes, sentimental or comic songs, rousing marches, or jigs, reels and hornpipes. Since its inception it has met with nothing but the highest praise from all the leading musicians. Doctor Grattan Flood M.R.I.A., one of the foremost authorities on Irish music, warmly advocates its adoption by the Irish people, in preference to the Scotch Pipes, as a great number of the musical compositions of Ireland and Scotland, being in the minor key, it is impossible to play them correctly on the Scotch Pipes, but the Brian Boru Bagpipe, being fully chromatic is capable of playing all these melodies correctly. and clicking on the "museum albums" menu. 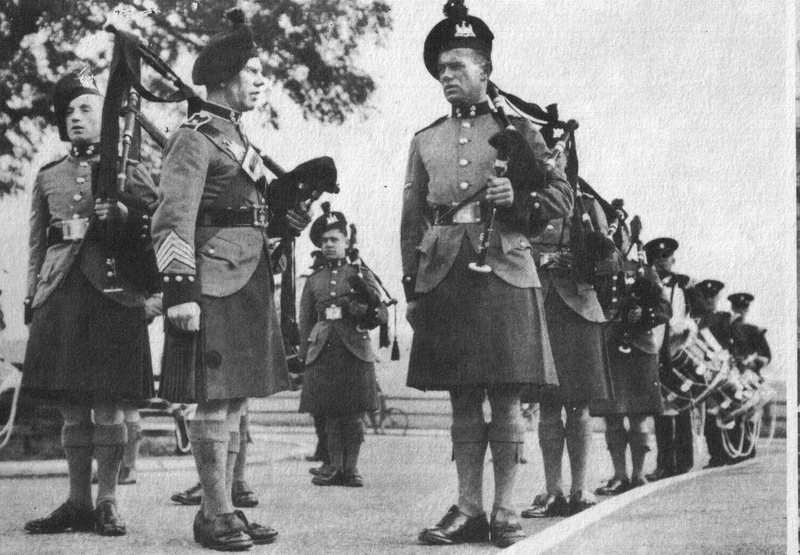 In 1968 all pipe bands in the British service were ordered to use the great Highland warpipe under instruction from the Board of Ordnance which was not prepared to meet the additional cost involved by providing Irish warpipes, Brian Boru pipes and great Highland warpipes to the different regimental pipe bands. Consequently the two remaining Irish infantry regiments, the Irish Guards and the Royal Irish Rangers, gave up their Irish warpipes and their Brian Boru sets and equipped their pipe bands with government issue Highland warpipes. Henry Starck died in the 1920s and his sons took over the firm and continued to make bagpipes until the 1940s when the company was absorbed by Boosey and Hawkes and pipe making was discontinued. "Starck" style keyed chanters are still made in small numbers in the United Kingdom and in Pakistan. Their limited availability, however, has contributed to a steady decrease in the number of bands using the Brian Boru pipes. The Ballymartin Pipe Band in Northern Ireland is one of the few remaining pipe and drum bands which still uses the instrument and photographs of both the pipes and the band can be viewed by googling "Ballymartin Pipe Band" to reach their website and picture gallery. The two pictures above show a basic warpipe setup but with a keyed Boru chanter in place of the standard pipe chanter.